Welcome to my stop on the Ruby's Fire blog tour hosted by Xpresso Book Tours. 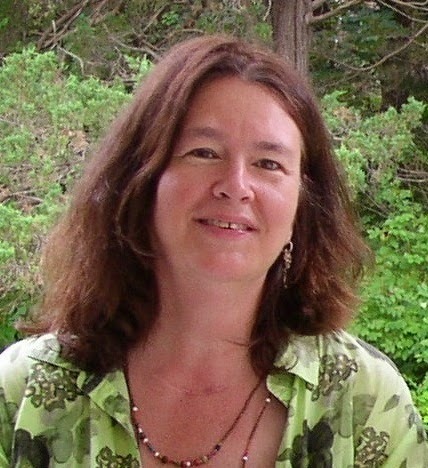 Today we have an interview from the lovely Catherine Stine, as well as a tour wide giveaway! In a few sentences, tell us why we should read Ruby's Fire. Ruby deals with subjects young women angst over: how to negotiate one's sexuality and power, how to escape from an inappropriate and dangerous relationship, why people become addicted to drugs and what kinds of things help them to kick, and how to find true interior beauty. I've always loved writing. I wrote a cute little mystery series when I was in fourth grade. I am also an artist, and I drew all of the covers for them. My great, great Uncle Charles wrote stories for children's school textbooks way back when, so it's sort of in my blood. Who has inspired your writing style? I was into science fiction when I was in sixth and seventh grade--people like Ray Bradbury and Aldous Huxley. I like the huge amount of imagination it takes to world-build. That can be applied to any kind of fiction, but I do have a special affection for speculative fiction, where my imagination has wildly free reign. Where did you get the idea for Ruby's Fire? I wanted a female heroine, who had trouble with men because she was so beautiful. I wanted her to be a drug addict who is forced to flee from the cult she grew up in, and run to a very unusual boarding school for nomadic teens in a place called Skull's Wrath. In Fireseed One, the first book in the series, the west is a vast desert wasteland with temperatures rising to 160%. Those with money and power have all moved north and have built a robotic wall on what is now the border between Canada and the US. The folks south of it, climate refugees, are trapped in what is referred to as the Hotzone. Transgenic crops are shipped south to help feed starving people. Fireseed is the most magical of these, and an entire cult has formed that worships this plant. Ruby grew up in this cult, and at the start of Ruby's Fire, she escapes, for reasons you'll find when you read the novel. Her continued relationship to the Fireseed plants, however, takes a shocking turn. What are your must-haves when sitting down to write? Lots of time! Coffee or tea (black), nice, cool air flow, and either chocolate-covered almonds or a few lemon and strawberry Starbursts. Are you an outliner or a "pantser" aka organic writer? I outline. I didn't used to, but I've learned through wasting a lot of time, meandering and overwriting, that I need to focus in, and hone the story even before I write. Which character in Ruby's Fire was your favorite to write? Ruby, because she's such a kicka*ss heroine, but Blane because he's hard to love and has a dramatic transformation, but also Thorn, Ruby's little brother, who may have Asperger's but then again, may be a seer. Sorry, couldn't pick just one! Not totally based on, but parts of… I've had boyfriends like Blane who are too strong and take charge for their own good. I relate to Ruby's interest in making her own elixirs. I have a little brother who I've always been protective of, like Ruby is with Thorn. What are three of your all-time favorite YA books besides you own? Hard question! Here are some good ones: The Rules of Survival (Werlin), Under the Never Sky Sky (Rossi) and Rule of the Bone (Banks). What has been your favorite "moment" since first becoming a published author? I love talking to kids in schools, and I did a writing workshop, using Refugees, one of my YA novels, with teens in a NYC high school. They really got into it. Also the core experience of creating characters and new worlds is wondrous and powerful. What can we expect to look for from you next? I've written an homage to Dorian Gray, but with a female lead named Dorianna. It's YA horror. That will probably come out in late 2013 or early 2014. I love reading Scifi/PNR b/c it's so much fun seeing how inventive and original each author can be :) Congrats to Catherine on the new release! I love reading Sci-fi etc. because I love the escapism and these worlds that authors paint so vividly through their words. Thanks for the giveaway! Thanks, Erin and Jeann, I love hearing why people relate to sci-fi and spec fiction. I've been reading sci-fi and speculative fiction for years, and I really love the new and different worlds that authors create. I think that takes a special kind of imagination, and I find it enthralling. Great giveaway, thanks! I'm not really sure why I love scifi but there is something in it which holds my interest and attention like no other genre ever could. I entered your Ruby's Fire blog tour Giveaway. 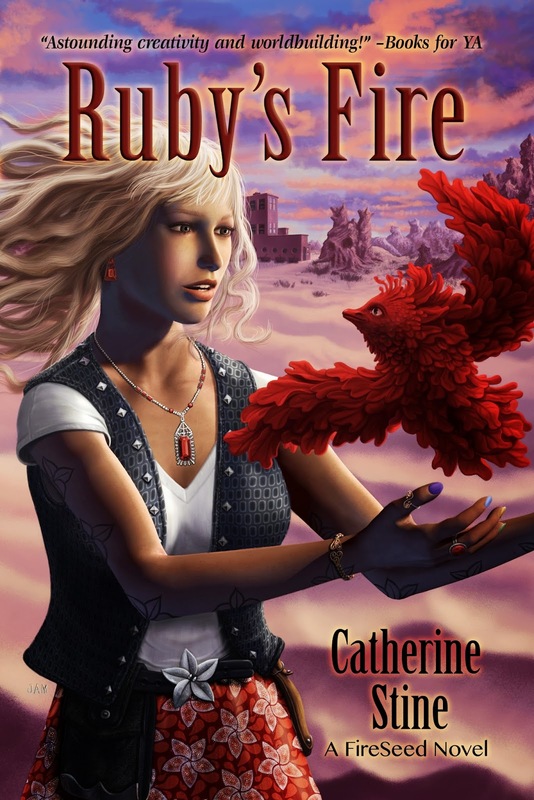 a copy of Ruby's Fire By Catherine Stine. What do you like best about sci-fi & speculative fiction? I like Sci-fi books because they have some interesting characters. the aliens have different cultures. It shows the power of the imagination. Thank you for having this great giveaway!!!!!!!! The inventiveness and how much you have to use your imagination. My son loves sci-fi books. I like Sci-Fi because it can take you to a whole different universe. The imagination and possibilities are endless. Whenever I read sci-fi I am just amazed at the things that people's minds can come up with! I love getting lost in the different worlds. I Love Sci Fi....Totally Star Trek geek here!! And look at the technology in those old shows...and how similar they are to today...Weird, huh? IT'S AWESOME!!! I love reading about new worlds that take you on an imaginative journey. I love that there are really no limits, it can go anywhere and not be considered too extreme as long as it is written well and there is really great world-building. You just never know what's going to happen while reading one! Great question! I love the thrill of authors imagination,, and to put myself in their story gives my mind chills !!! But can't put them down, so thank you! I love getting lost into the different worlds and basically anything goes. There are no strict rules to it. 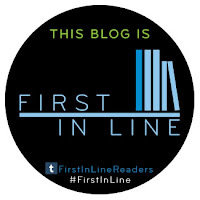 I love the creativity and diversity that the genres affords the authors and the readers. It is a way to explore and escape to the further reaches of our imaginations. The possibilities are endless. 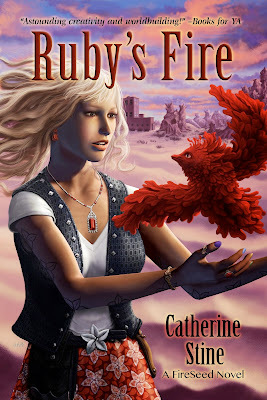 Fireseed One and Ruby's Fire sounds like amazing reads! Thanks for sharing and for the awesome giveaway!! I love the new worlds created in Scifi! They always manage to make me forget about my troubles! I love it when a writer can make a brand new world that I'd like to jump into and play/live in! I like that anything is possible even things that are completely farfetched. Thanks for the giveaway! i like sci fi because it takes you out of the reality realm and into something and somewhere we almost wish were true! The cover is great and I don't read books without an interesting cover! I like the interesting ideas in sci-fi! I like science fiction because it encourages my imagination. It's the cheapest way to visit new worlds. I love exploring new worlds. It allows me to escape. Thanks for the giveaway. I love science fiction because the possibilities of subjects and details are endless! Imagination can run rampant to wherever they may roam! I just love seeing the amazingly creative things that authors in sci-fi/spec fic come up with! I mean, some of them have essentially predicted, 50 years ahead of time, technologies that we have today! I also love being transported to different worlds, alternate universes, and all those places I would never have dreamed up on my own.